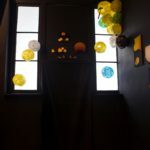 Cartae is an alternative learning space for the exploration of contemporary art modes, ideas and criticality, and their applications to individual practices. 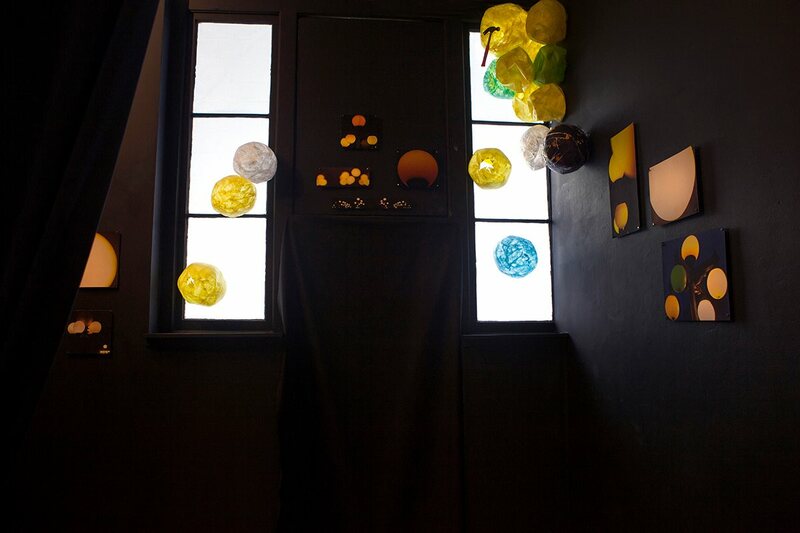 It is a site of experimentation, dialogue, creation, and research. Cartae is an initiative of aceartinc. The Cartae Open School provides opportunities in the form of peer to peer and self-directed learning, studio visits/workshops from ace’s exhibiting artists, screenings, artist talks, free access to all events that occur at ace during the Cartae year, and input from our sister Artist-Run Centres. 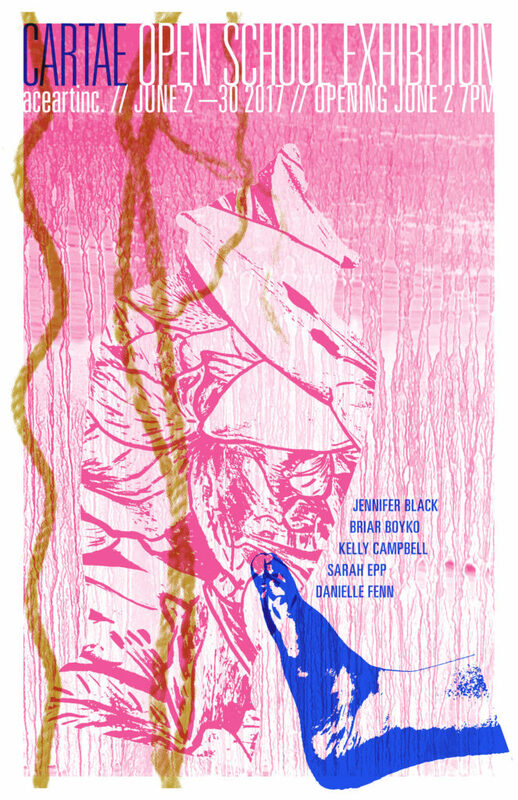 Committee: hannah_g, Chantel Mierau, Seth Woodyard, Briar Boyko, Sarah Nesbitt. Former committee members: Jazmin Papadopoulos, Mark Neufeld, Brian Hunter, Jamie Wright. Founders: hannah_g, Jamie Wright, Helga Jakobson. The inaugural 2014/15 Cartae participants, or Cartaers, were Emily Sirota, shimby, Shelley Vanderbyl, and Reza Rezai. 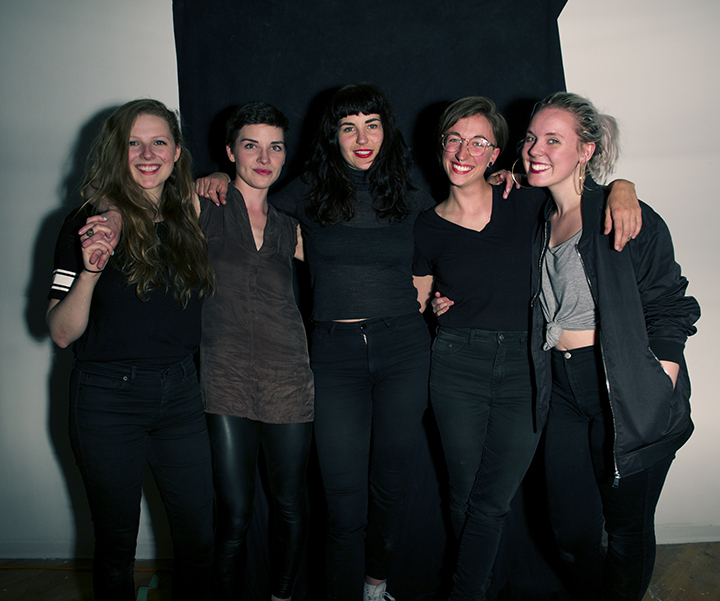 The 2015/16 Cartaers were Talia Shaaked, Madeline Rae, Carol Ann Bohrn, Beth Schellenberg, and Jaz Papadopoulos. 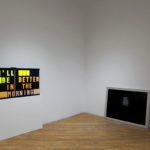 Some images from their studio can be seen here. The 2016/17 Cartaers were: Jennifer Ilse Black, Briar Boyko, Kelly Campbell, Sarah Epp, and Danielle Fenn. The 2017/18 Cartaers were: Elise Dawson, Christina Hajjar, Julian Kirchmann (julian_k), Michelle Panting, and Sarah Stewart. 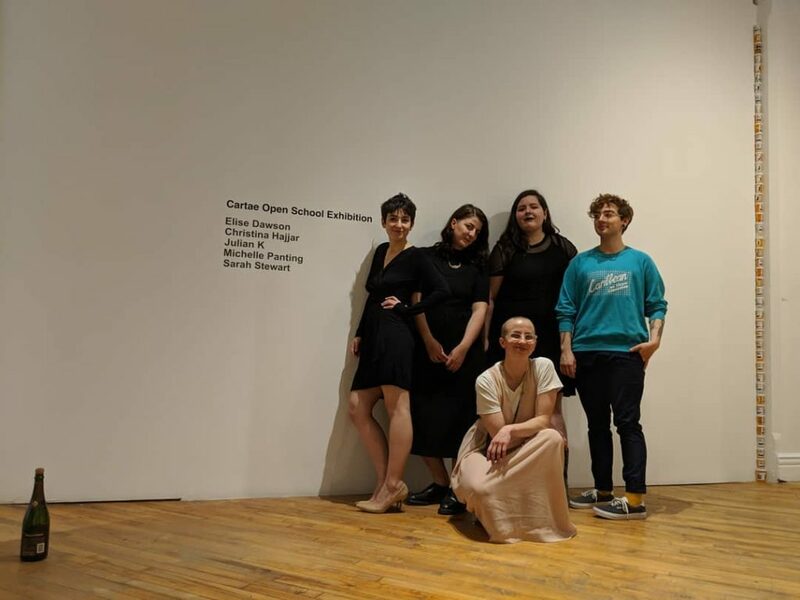 Cartaers 2018/19 Jean Borbridge, Davis Plett, Malaikah Rang’inya, Francesca Arfinengo Carella, and Emma Mayer. Photo by Michelle Panting. 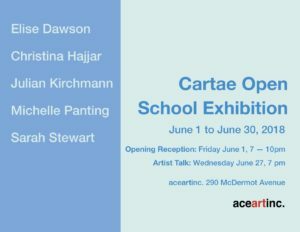 Cartaers 2017/18 Elise Dawson, Christina Hajjar, Sarah Stewart, julian_k, and Michelle Panting. 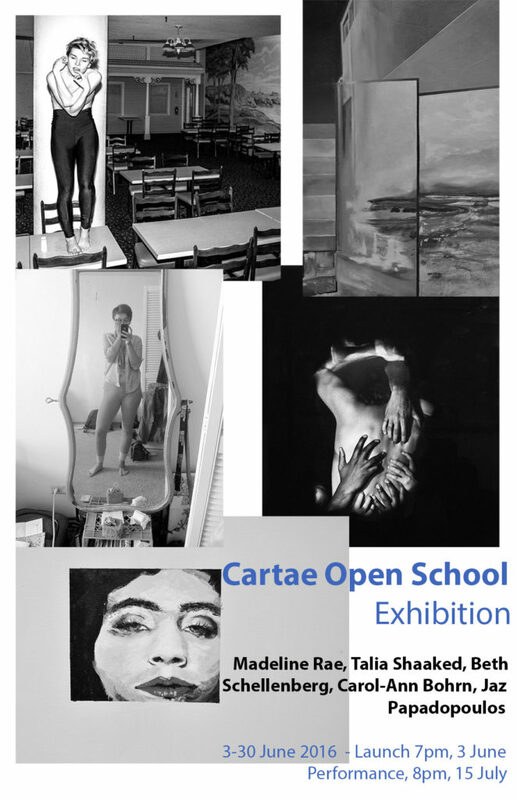 Cartae Open School Exhibition 17/18, 1-30 June, 2018. Photos by Karen Asher. 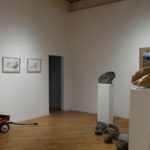 Watch their artist talk (June 27, 2018) online, moderated by hannah_g. Cartaers 2016/17 Jennifer Ilse Black, Briar Boyko, Kelly Campbell, Sarah Epp, and Danielle Fenn. 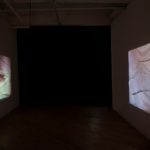 Watch their artist talk (June 27, 2017) online, moderated by Grace Nickel. Cartae 2015/16 Talia Shaaked, Madeline Rae, Carol-Ann Bohrn, Jaz Papadopolous, and Beth Schellenberg. 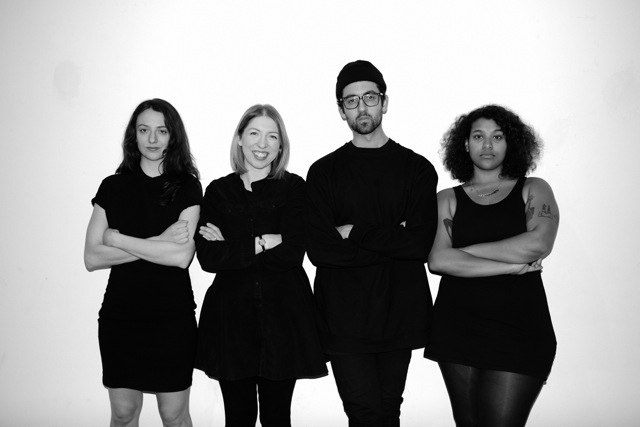 Cartae 2014/15 (inaugural Cartaers) Emily Sirota, Shelley Vanderbyl, Reza Rezai, shimby. Photo by Reza Rezai. Next call deadline: 2 July 2019. School starts 11 October 2019 and finishes on the 26th June 2020. There are 5 places available. Each Cartaer will design, organize, and facilitate one workshop. 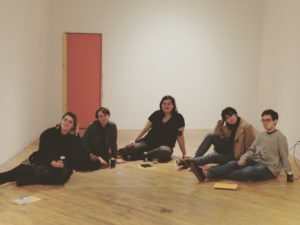 Cartaers are strongly encouraged to participate in all events provided for/by them including workshops, talks, screenings and talks, and studio visits from visiting artists. aceartinc. already has several activities in place. However, Cartaers can program as many or as few activities as they wish (in consultation with the committee and within budget) in addition to their individual workshops. 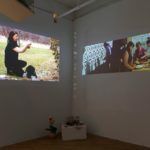 Much of what you do will be self-directed- whether it is working on your practice in the shared studio, arranging studio visits for yourself, or choosing people to give artist talks. Each Cartaer will attend a monthly meeting with the group and members of the Cartae Committee. Additional communication with fellow members and/or committee members is the responsibility of each participant. You are invited to contribute a short text to aceartinc.’s annual publication, PaperWait. 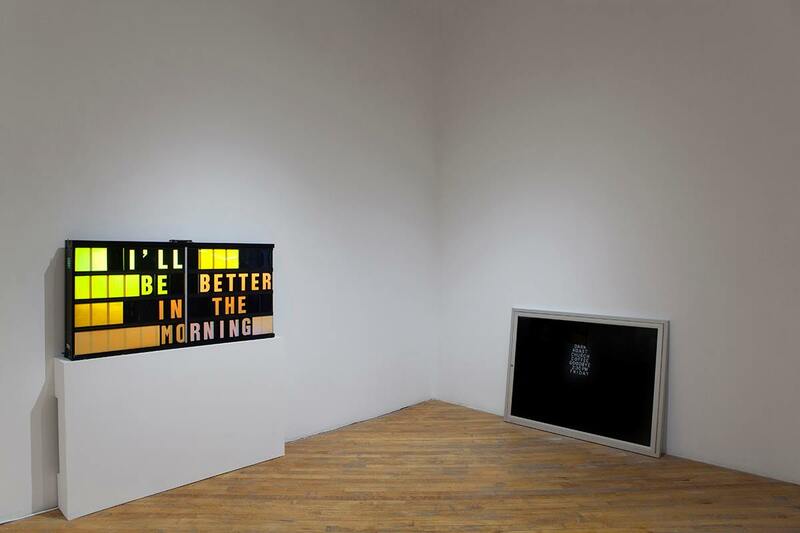 You will mount a year-end exhibition. 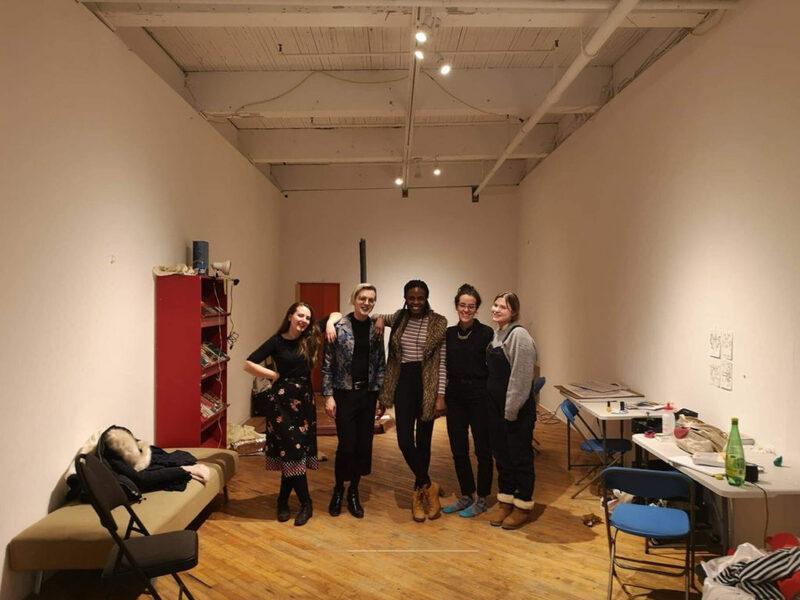 Cartaers will share a 500 sqft studio from 11 October 2018 – 30 June 2019. 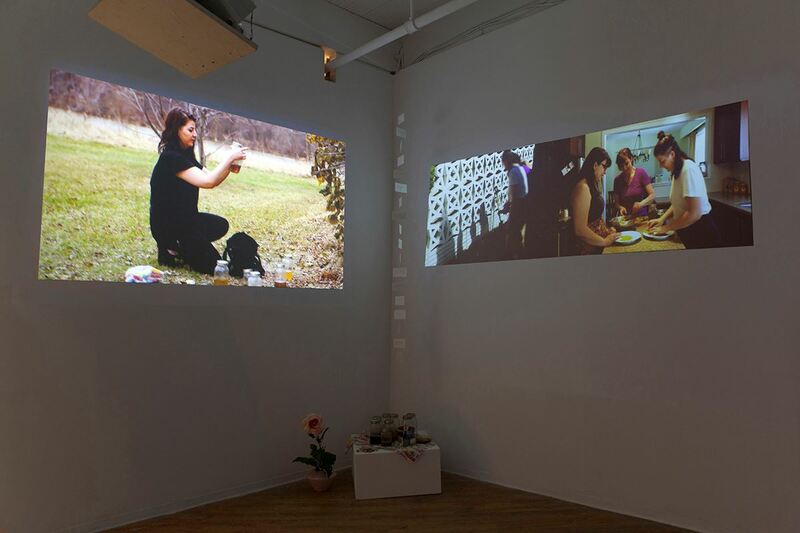 The fee is $500 per student and contributes to the cost of the studio and artist fees. Why do you want to be part of Cartae? What will you bring to it? What do you hope to gain from it? 500 words. Describe a workshop you would run. Topics can be wide ranging and should encompass an element of skill-sharing. 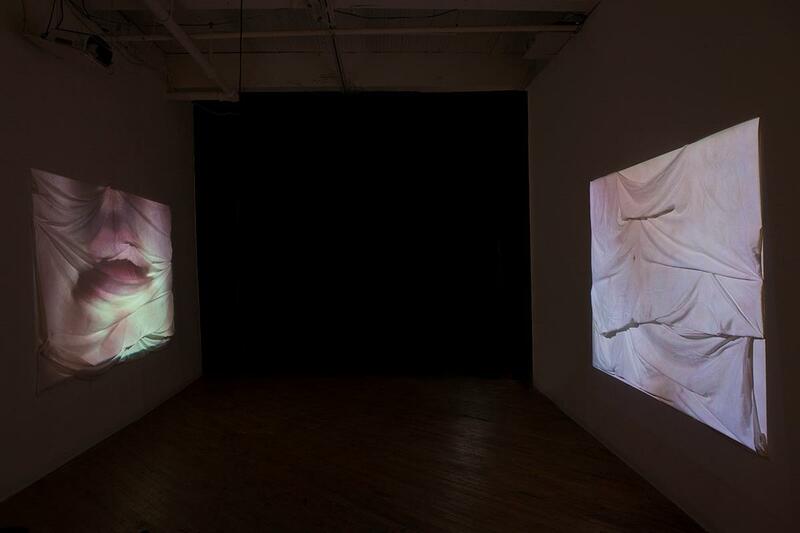 For example how best to make stop frame animation or the ways of applying post-modernist theory to your practice. Please provide a portfolio of up to 10 images and/or up to 2000 words. Artist statement up to 500 words. 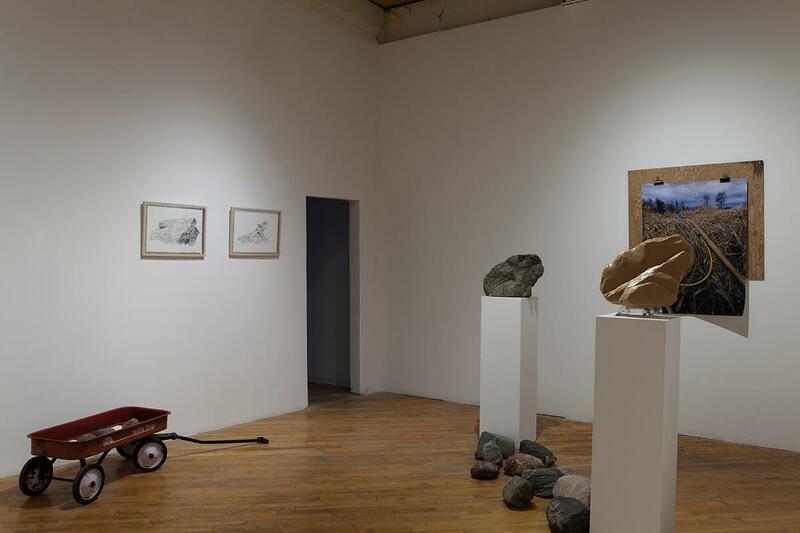 Please provide a visual or written description of the potential you see in the studio. We welcome imaginative interpretations of this. Email digital submissions in PDF format only to: cartae@aceart.org. Create one PDF file consisting of parts 1, 2, 3, 4, and 5. Label the files with your full name. Put your name, email, and phone number at the top of every page. aceartinc. is MAC compatible only. You may include up to 10 images presented as one PDF document. Individual images must be jpegs 72dpi, 1024 x 768 pixel, 500k (.5 MB) RGB or SRGB only. Images that are larger than this will not be viewed. Video may be submitted through a link to Vimeo, YouTube or any other easily accessed website. See below for additional clarification regarding each part of the submission package. Audio is accepted in MP3, WAV or AIFF format only. At this time we can only accept submissions in English.